Perhaps more like a tragic and unnecessary death by a desperate search to cure a chronic condition that led to extreme measures. According to a San Diego Medical Examiner the death of Jade Erick, a 30-year old woman was from an “anoxic encephalopathy due to prolonged resuscitated cardiopulmonary arrest” from an IntraVenous infusion of turmeric solution provided by a holistic practitioner on March 16, 2017. Sources say she was being treated with turmeric in hope of its reputation being the anti-inflammatory miracle spice to help relieve her eczema condition. 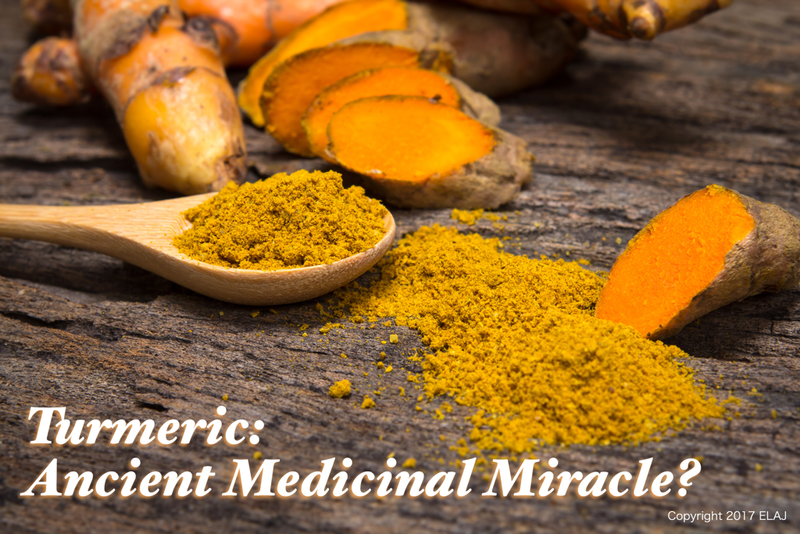 Turmeric is also known as cur-cumin and having a vibrant orange inner root color, but looks like ginger from the outside. 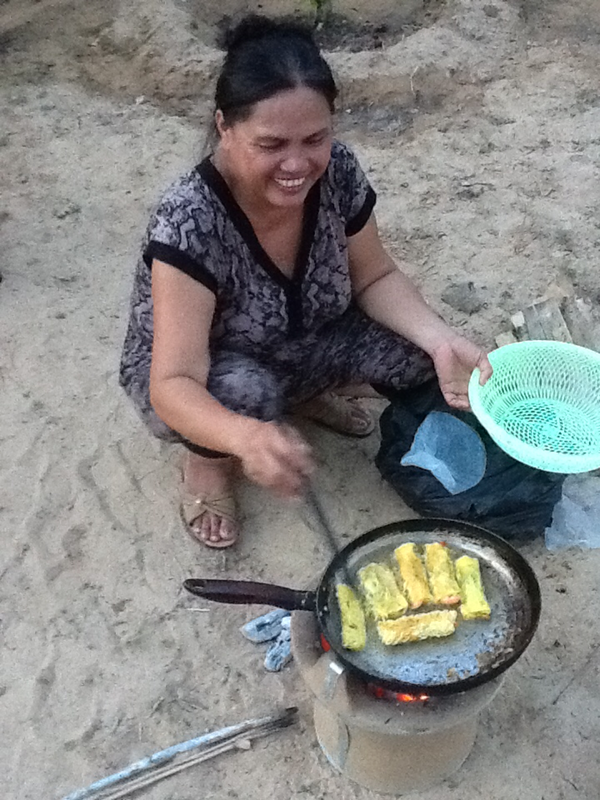 A Vietnamese woman cooking omelettes spiced with freshly ground Turmeric. The fear I have now after following this story of a tragic young woman’s death, is how the western world will react and swing the pendulum to the extreme opposite and demand retribution and create a witch hunt to those following the cult of turmeric. One death and the spice will be demonized and all good will be thrown out with the baby and the bath water. Just as Boric acid was demonized because one baby was killed from inhaling the dust when it was mistakenly used as a baby diaper powder. We cannot forget the new trend of perceived negative image of petrolatum without ANY substantiated clinical data of even one case. Petrolatum has only been on the shelves since 1859 without incident as the ubiquitous Vaseline! It is one of the most widely used pharmaceutical ingredients world-wide, yet unfounded fears haunt the cosmetic industry without credible evidence. As for treating chronic conditions like ECZEMA and PSORIASIS in a homeopathic way, it is a matter of methodical moderation. There is no quick and instantaneous cure. We have found that these miracle spices are best used in consistent quantities in smaller proportions over long periods of time with a very personalized elimination diet with immune boosting properties. The tragedy behind this particular story of Jade Erick for me is the desperation that these skin conditions can cause emotionally. There is a an immense lack of trust in the dermatological industry which has been so slow in seeking more viable alternatives than their standard of hydrocortisone grades increasing until they reach the upper echelon of immunosuppressants. The medical industry has lacked in uniting a worldwide network of data sharing in both epidemic statistics and more notably, Adverse Drug Reactions to the FDA (Federal Drug Administration) Topical Steroids were never meant to be used long-term and continuously. The vicious cycle of steroid rebound phenomenon has been documented now thanks to the internet and victims of medical negligence from lack of disclosure. It is hard for the general public to truly understand the toll a chronic condition like ECZEMA and PSORIASIS can have on the emotional and psychological health of someone that suffers for an exhaustive period of time. In private chat groups across Facebook, so many of us have witnessed suicidal posts of those going through TSW (Topical Steroid Withdrawal) and RSS (Red Skin Syndrome). I have stood in my Streetfair Booth listening, crying and holding hands of someone that reached their psychological limits beyond what prescriptions ever could falsely promise them. 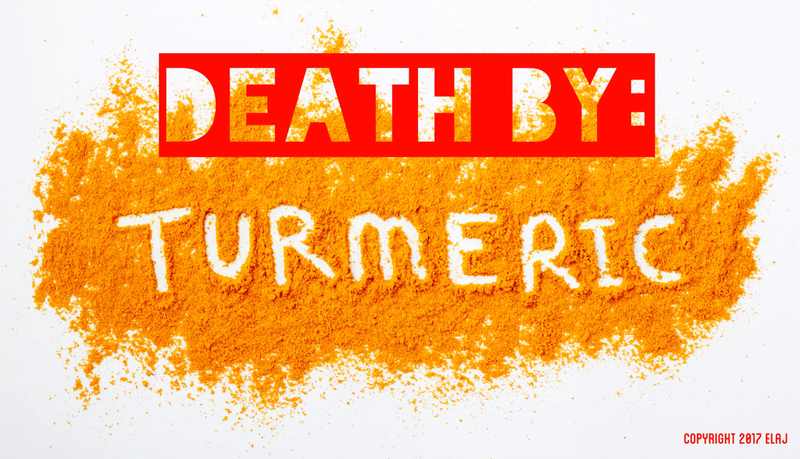 This story is not about turmeric. This story is about a woman who walked into a holistic practitioner’s office full of hope and desperate to find relief. Her shadow is cast upon all of us that need to speak up to the medical industry to dig deeper and find a solution, not another immunosuppressant band-aid.